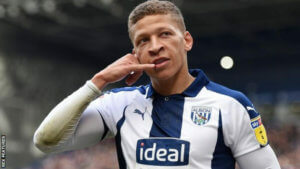 Dwight Gayle has now scored four goals in his last two games for West Brom and his hat-trick yesterday at home to Preston means he has scored 21 Championship goals in 35 appearances for the Baggies this season. That compares with his 23 goals for Newcastle in 32 appearances in our promotion season. Dwight missed a lot of games with a hamstring injury during the second half of that season. But Dwight has shown he can score lots of goals in the Championship and Rafa will be watching how he’s doing. We’d like to see Dwight return to Newcastle in the summer but he may be used in a part-exchange deal with Salomon Rondon. But a lot depends on whether West Brom are promoted next month and it looks like that will have to be via the playoffs. West Brom remain in 4th place on 73 points after 42 games played – 9 points behind second-placed Leeds United and an automatic promotion place. Norwich are top of the Championship on 85 points with former Newcastle goalkeeper Tim Krul having a good season for the Canaries. 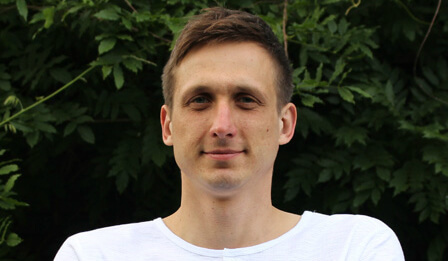 Tim’s made 39 Championship appearances this season. I’m not too fussed on seeing him return so I’m not sure if Ed is referring to himself and his son when saying we’d like to see him return, I’m not sure if that’s a widespread view, I could be wrong though. I think it was the Cailkin interview where she said three bids were made. 250M upfront no clauses, 300M which included a relegation clause and 350M which was on about the CL and all kinds and paid over ten years or summit. is found wanting at times. Ed today is your 12th birthday. The blog is running 12 years today. Happy birthday! I wouldn’t like to see Gayle returning. He’s a brilliant Championship player. But he was found badly wanting in the premier league. He couldn’t make the step up, and I see no way in hell that Rafa is going to bring him back. Call it speed of thought if you want but it comes under the umbrella of quality, he hasn’t got what it takes to score lots of goals in the PL. Look at Armstrong, despite Bobbybee giving all the excuses of not playing to his strengths at different clubs in the Championship he starts banging them in at league one level, under exactly the same manager and same style of play, I presume he can’t find the net. It’s because he’s a league one player and Rafa knew that. I reiterate, it’s called quality unless you get all scientific about it. When Mike Ashley bought NUFC there was no black hole in the finances. 25-30 million of future income had already been spent. I knew about it as it was in the annual and half yearly reports to shareholders. If he did not know then he was a fool. 25-30 million should not have been a game changer to a big shot billionaire. Remember that much of the clubs debt was for building the stadium extension. Every time we get a full house that’s an extra 350-400K in gate money. How much did it cost. 80 million ? It will have or should have paid for itself by now some 20 years later. I don’t believe for a minute he bought us ‘for a bit of fun’. He’s known from the off what could be bled from the club and it’s worth as an advertising hoarding. I firmly believe that he engineered the hiring and firing of KK as well to make himself the pantomime villain. Well Jail my take on it is this. Purely from memory and off the top of my head. He sold half of SD in a share flotation. That gave him 900M in cash. Saw the chance to buy NUFC. Having secured single person ownership he then intended to sell on at a profit. The trouble with that is there always has to be someone else coming along willing to pay more. It did not work out and he was stuck with it. Engineered the hiring and firing of KK. I don’t think he is that clever. Once he was stuck with ownership he then had to make the most of it. He’s gone in different directions a few times. A couple of years ago he came up with it has to be self financing. We’d all be happy with that. In the Prem we have income of about 180M a year. Is he sticking to that. If he is then the regularly asked question has to be – Where has the money gone. The loan for the ground rebuild was taken over 15years, it was being paid and would’ve finished several years ago. Instead Ashley paid it off and took the advertising for 12 years and counting as payment yet we’re still in debt to him. IrishBob I’m very much a woman. From previous, are you suggesting that Ashley wanted HMRC to be paid off by Stavely, on top of her £250m bid? Or could Mikey boy have been looking for £350m and the buyer take responsibility for HMRC? If it was the latter, then the word ‘greed’ comes into play. Opinions of course but I think his plan was to use us as advertising while making a nice little earner on the way, I reckon he’s been siphoning around 10M a year for twelve years now. You’ve obviously not worked out that the Blog has a diverse range of posters. It’s a microcosm of life with male, female, female wannabes, those that aren’t sure and a few who are completely round the bend! You may well be right, but I think he settled on that plan after failing to make a quick profit. It does seem to be how he operates. Buy cheap or for next to nowt and sell dear. I think it is going to back fire on him as far as the high street is concerned. Is our fate linked to the success or failure of his wider business interests. Whatever his intentions were or are, we have just been unlucky to have been bought by one of the worlds greediest billionaires. He’s now been here for over a quarter of my life. That’s frightening.